Full sister to Amalie and Milana, “Matty” is a very strong-boned, wide and powerful yearling. 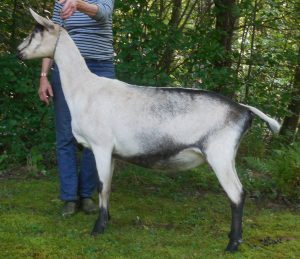 She has the same very level topline and correctness to her leg set seen in her sisters. Shown once in 2017, she placed 3rd behind herdmates Amity and Merilee in a large kid class.